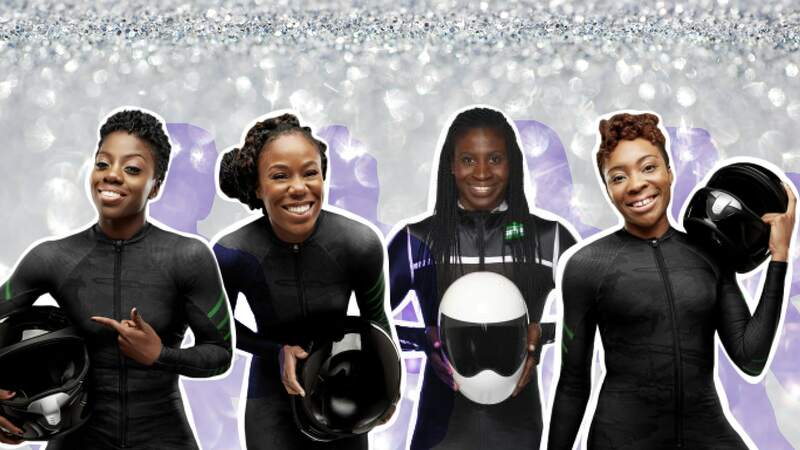 We’re calling it now: The stars of the 2018 Winter Olympics will be the members of the Nigerian women’s bobsled team and skeleton athlete. Not only are the bobsledders the first bobsled team to compete in the Olympics from their home country — they’re the first in all of Africa. So far, they’ve been some of the most visible athletes of the games, appearing in media throughout the world, including a visit to The Ellen DeGeneres Show. In fact, the women on the team got so busy leading up to the Olympics, our interview with them was canceled (or at least postponed until after the games). But for now, here’s everything you want to know about the women on the team and their historic trip to Pyeongchang. 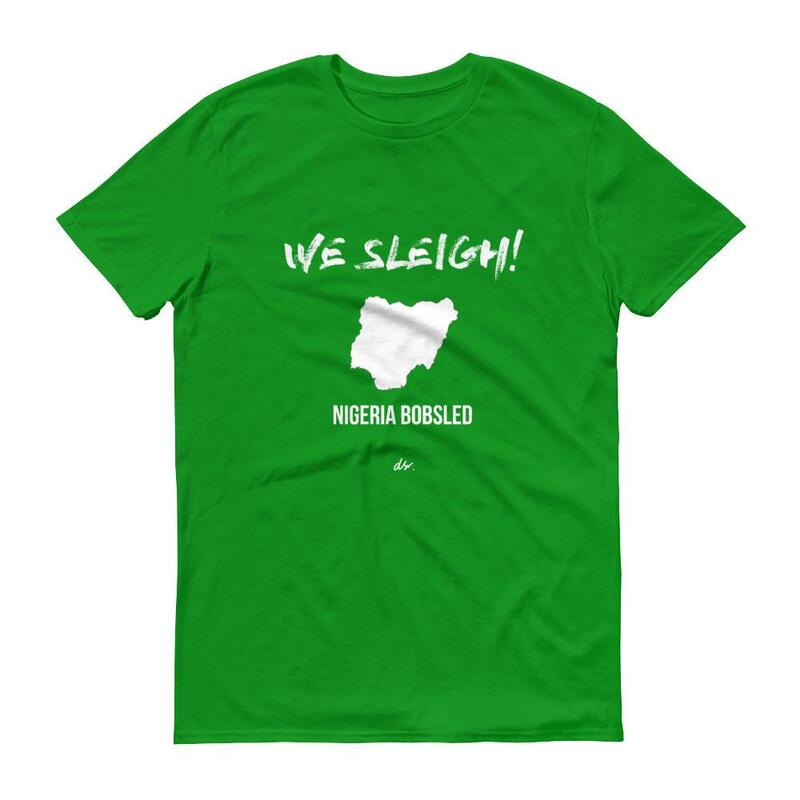 The Nigerian women’s bobsled team consists of driver Seun Adigun and break-people Ngozi Onwumere and Akuoma Omeoga. They each initially competed as top-flight sprinters in college before turning their attention to winter sports. But wait; there’s more! Simidele Adeagbo, Nigeria’s first female skeleton athlete, will also compete in this year’s Olympics. While skeleton athlete Adeagbo was born in Ekiti State, Nigeria, each of the three members of the bobsled team was born and raised in America. However, they all have parents who were born in Nigeria and have dual Nigerian-American citizenship, and therefore are able to represent the country at the Olympic Games. While this is Adigun’s third season as a bobsled athlete, it’s her first year as a driver. “Imagine taking a 16-year-old and just throwing them in [the] Daytona [500 NASCAR race],” she told DeGeneres during the team’s appearance on her show. She may be new to the position, but she qualified for the Olympics, so she’s clearly a natural. Back in 2016, Adigun created a GoFundMe page to help finance her Olympic dream, Time reported. Getting to the games is costly for anyone — let alone someone trying to start the first Olympic bobsled team from Africa. Adigun handcrafted the team’s first training bobsled out of wood and named it the Maeflower after her stepsister (nicknamed Mae Mae) who died in a car accident in 2009, Time also reported. Typically, athletes have to wait until after they’ve achieved Olympic glory before picking up major, international sponsorships. Not so for these women, who have already partnered with Via and Under Armour and done a spot for Beats by Dr. Dre.